Earth’s pleasant, life-giving atmosphere is turning out to be somewhat of an oddity. With almost 4,000 planets so far discovered orbiting stars beyond our solar system, scientists are finding that atmospheres come in a wide range of recipes. To get a better understanding of that cosmic chemistry, a team at NASA’s Jet Propulsion Laboratory (JPL) has recreated one of these alien atmospheres in the lab. Normally, astronomers have to piece together disparate clues to get an idea of what an exoplanet’s atmosphere is made of. When these planets pass in front of their host star, the way light passes through the atmosphere can tell us what’s in the air, and other factors can be taken into account such as how much heat, light and radiation they receive. But that’s not enough to get the full picture, so the JPL team set about recreating possible exoplanet atmospheres right here on Earth. 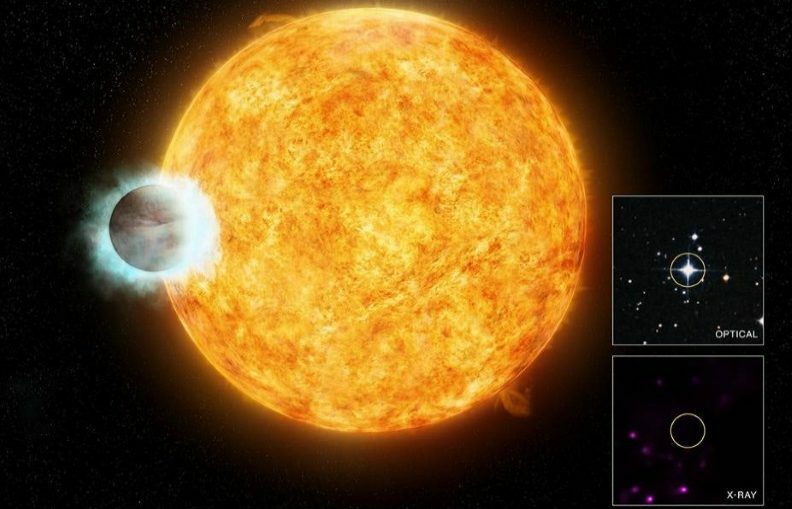 For this study, the researchers focused on a well-documented type of planet known as a “hot Jupiter.” As the name suggests, these are gas giants like our own Jupiter that orbit their parent star so closely that their atmospheres are blisteringly hot. Being that close up, many take less than 10 days to orbit their stars, and have been known to regularly reach temperatures as high as 5,000° F (2,800° C). The tests revealed some new details about the possible alien atmospheres. Observations of real planets have shown that their atmospheres are often opaque, even at low pressure where clouds aren’t able to form. The team’s artificial atmosphere also came out opaque, thanks to the UV light forming organic aerosols – solid particles in the air. This isn’t the first time an alien environment has been recreated on Earth. Last year, another NASA team simulated the liquid methane oceans of Titan to test space-faring submarine designs.